With each passing year, Apple rolls out a new generation iPhone and the new product is an advanced version of the previous one. As such a large number of people will look for the new Apple product as early as it is available in the market. However, there are average group of people who want to have an iPhone, but are unable to afford a new one. For them, a refurbished iPhone can meet their needs. 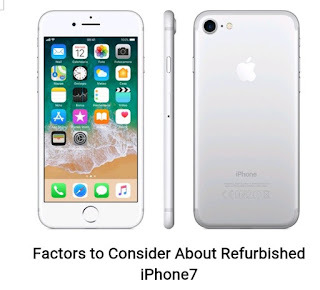 Previously, we discussed in details how to Detect Android Refurbished Phone , and today, we present to you how and where to get a better refurbished iPhone devices. A refurbished iPhone appears and functions like a new brand product. It is completely assessed, repairs the defective parts and is thoroughly tested before the dispatch. 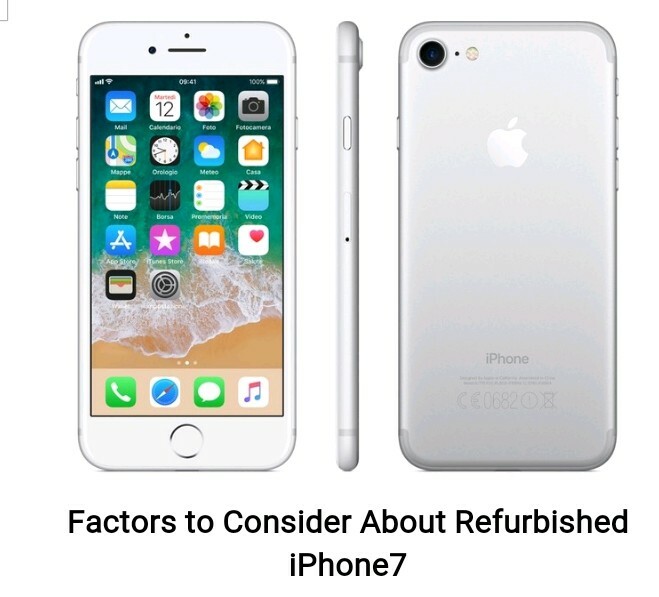 When it comes to purchasing a Refurbished iPhone 7, there are two alternatives in front of you – to buy directly from Apple or some third party retailer. When the refurbished iPhone is sent to Apple store, they renew its condition and make it like a brand new one. Hence, you can get the same service with the brand new one. Also, the refurbished iPhones available from the Apple store are available at only a small discount. The second method to purchase a refurbished iPhone is from a third party seller online. All the Apple products go through the same procedure. The manufacturer renews the condition of the product and assures that it works well. This product is incomparable from the earlier one and that’s these are available at a big discount. Will Your Refurbished iPhone Work like a New One? The refurbished iPhones are 100% useful and all of its parts work like a new one. From the iPhone screen to the charger of an Apple watch or battery of an iPad, all the refurbished Apple products have a good working condition, like the brand new one. This is so because the refurbished products are not like the used products. In case any part of the refurbished iPhone doesn’t meet the required standard, it is replaced in the process itself. Is the Refurbished iPhone Completely Tested? It’s obvious that a refurbished iPhone 7 requires essential testing stages. This apple product has to go through a complete test of functionality. This includes both the hardware and software tests and a thorough checking of the entire constituents. Not all, but most of the parts will need to go through final checking. In case any problem is encountered, the part will be passed to the troubleshooting. At such a point of time, the refurbisher recognizes the issue with the part. Hence, they will make the best possible decision to further proceed. For Example: In case the iPhone has a cracked screen, it must be replaced with a brand new screen. When the process of fixes or replacement ends up, the iPhone again go through the complete testing of the product. When this Apple product passes through all kinds of testing, like the brand new product does, it gets approved and sold as a refurbished product. Is the Refurbished iPhone Properly Cleaned? Several refurbished iPhones have a shorter lifespan. The reason behind this is either excessive use by the past owners or being used by many people when displayed in a store. That’s why not only iPhone, but also the other Apple products have to pass through intense process of cleaning. The Apple products are cleaned thoroughly in order to ensure that they are dust free and are as glossy as the brand new ones. Dust is ejected from the keypad, screens are cleaned and all of the ports are checked for dirt. Also, the inner parts are also cleaned in order to assure that the refurbished iPhone is completely spotless and is sanitized. Does a Refurbished iPhone has a Re-Installed Operating System? The operating system is to be re-installed when the hard drive has removed the complete data. This implies that when the refurbished iPhone is received by you, a clean copy of iOS is completely ready for you to set up. Mainly, the software is all ready for you as it was like a brand new product. You can set the refurbished iPhone as a brand new one or probably restore from a backup from the earlier device. Does a Refurbished iPhone come with Warranty? Remember, not all the refurbsihers provide warranties with their products. It is recommended that remain away from the organizations that doesn’t provide warranties. This is not only essential for refurbished iPhones, but for all the products. You can get the best deal from the Apple refurbishers on their website. They provide warranties for all their products. Does a Refurbished iPhone Look like a Brand New One? The major difference between the refurbished iPhone 7 and new iPhone 7 is – the overall condition (the appearance) of the product. Also, the refurbished iPhones are thoroughly cleaned and it is 100% functional. Fair: This means that the iPhone has marks and scratches on it. It appears to be used, but is fully functional. Good: The screen is in very good condition. There are scratches or marks on the back or side. Excellent: The body and screen of the iPhone is in perfect condition. 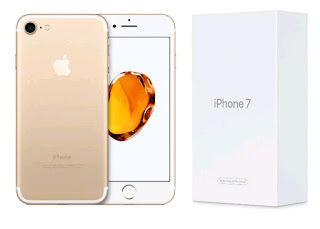 If you purchase a Refurbished iPhone 7, you will receive the best cost-effective ratio. Also, you can enjoy all the latest features and can save a lot of your money.